During his undergrad years, his research interests focused on the folding patterns and the fisico-chemical properties of proteins. After joining the PhD program at Illinois, he decided he wanted to use computational tools to study larger biological systems, such as regulatory and metabolic networks in cells, thus leading to his specialization in systems biology. 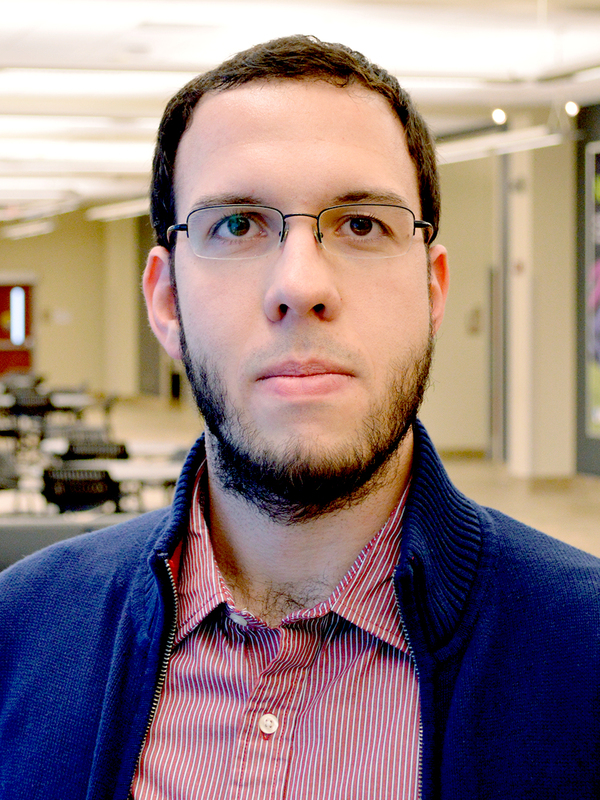 Marcelo came to the PhD program at UIUC with an unusual background. “Having had biology and computer science as my emphasis areas of study, I was not quite a "classical" biologist (as the only thing I knew about plants is that they are usually green! ), neither was I a computer scientist, as I never studied network infrastructure, or cryptography, or how to write a compiler from scratch.” However, his biophysics major gave him extensive experience in cellular and molecular biology, as well as software development. At Illinois, Marcelo joined the lab of Professor Zaida "Zan" Luthey-Schulten, Chemistry professor and Center for Biophysics and Quantitative Biology affiliate. “The systems biology line of research in Zan's lab was exactly what I was looking for,” says Marcelo. As a graduate research assistant in Luthey-Schulten’s lab, he studied the effect of the variability in S. cerevisiae (baker yeast) gene expression and its impact on the metabolic phenotype. This research project involved conciliating multiple sources of measurements for proteomics and gene expression, and applying them to a whole cell metabolic model of the organism. Marcelo has accepted a postdoctoral research associate position with the School of Molecular and Cellular Biology at UIUC, where he continues to conduct research in Professor Luthey-Schulten’s lab. His future plans involve pursuing a career path in academia.